transplanting goat glands into his male patients. 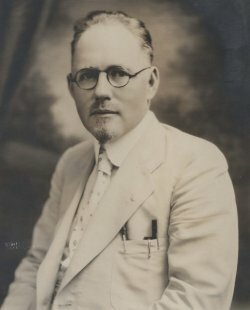 A natural salesman with a smooth voice and plenty of confidence, Brinkley had been performing his $750 “restorative” operation at his clinic in Milford, Kansas, and offering medical advice and selling his patent medicine over his Kansas radio station, KFKB. In addition to long lectures on rejuvenation and testimonials from satisfied patients, Brinkley’s station featured country music (including The Carter Family), and fundamentalist preachers. Brinkley conducted a “Medical Question Box” that allowed him to diagnose ills and prescribe medicine over the radio. 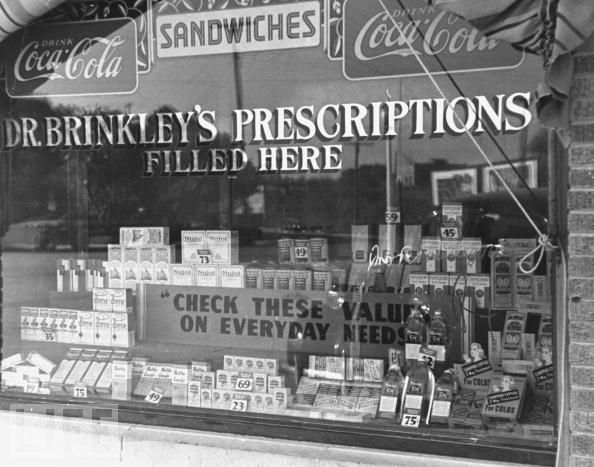 The program became so popular that many pharmacists cashed in on the deal by selling Brinkley’s concoctions at inflated prices and returned an estimated $14,000 a week to Brinkley. Finally, Dr. Morris Fishbein, executive secretary of the American Medical Association (AMA) and editor of The Journal of the American Medical Association called Brinkley a quack. Brinkley countered, claiming the AMA was a “meat-cutters union” and said its members were jealous of him because he was taking their business. Brinkley had tried unsuccessfully for years to get a medical degree from one of the diploma mills, even traveling to Europe in 1925 in search of an institution that would give him an honorary degree. After several places turned him down, an Italian institution finally awarded him a degree, only to have it revoked by non other than Benito Mussolini at the urging of Brinkley’s nemesis—Dr. Morris Fishbein. Fishbein’s accusations finally forced the Kansas State Medical Board to revoke Brinkley’s medical license, and the Federal Radio Commission (FRC) refused to renew his broadcasting license. 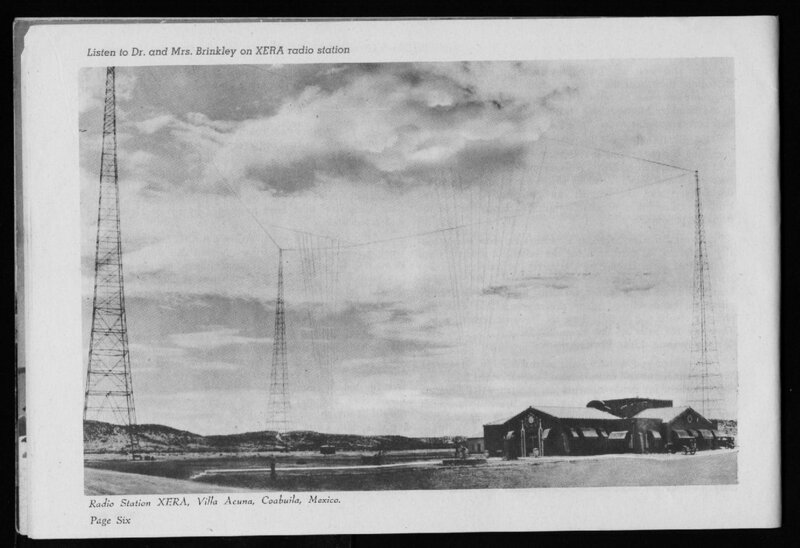 Using the powerful radio transmitter across the border in Mexico, Brinkley broadcast his message to listeners all over the Midwest. In his new enterprise he offered six small vials of colored water for $100, which apparently aided the libido. He performed fewer goat gland transplants, offering instead a “commercial glandular preparation.” He began prostate operations (charging up to $1,000 per procedure) and started using a Mercurochrome shot and pills to restore youthful vigor. Brinkley sold air time to advertisers at $1,700 an hour, which encouraged new hucksters selling anything from life insurance to religious items such as autographed pictures of Jesus Christ. When mind readers and fortune-tellers were banned from U.S. radio by the FRC, they followed Brinkley’s lead and began opening “border blasters” across the border in Mexico. 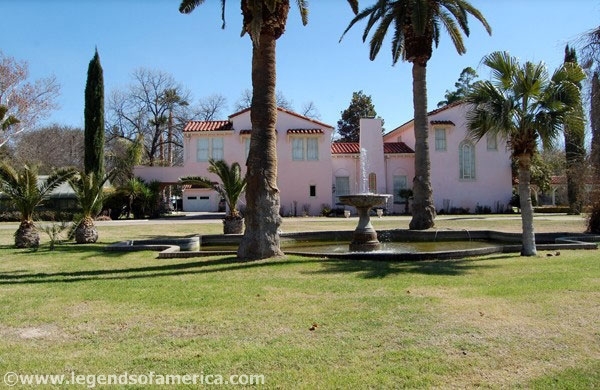 dozen Cadillacs, a greenhouse, a garden with a foaming fountain surrounded by 8,000 bushes, and a pool with a ten-foot diving tower. It has been estimated that Brinkley earned $12 million from the time he moved to Del Rio in 1933 until 1938 when his empire began to crumble. A rival moved to town and began offering similar procedures at greatly reduced prices. When city officials refused to put his competitor out of business, Brinkley moved to Little Rock, Arkansas, and opened a hospital. In 1938 Fishbein was back again, publishing a series called “Modern Medical Charlatans” that completely repudiated Brinkley’s career and his medical credentials. Brinkley sued Fishbein for libel and lost, with the jury finding that Brinkley “should be considered a charlatan and a quack in the ordinary, well-understood meaning of those words.” That verdict opened a series of lawsuits that reached a purported $3 million. The IRS began investigating Brinkley for tax fraud. In 1941 Brinkley declared bankruptcy; an agreement between the U.S. and Mexico resulted in Brinkley’s Mexican radio station being shut down; and the U.S. Post Office opened an investigation for mail fraud. The famed healer, known by some of his Kansas followers as “The Milford Messiah,” the man who was credited with over 16,000 goat gland transplants, who wore a goatee and named his Milford baseball team the Brinkley Goats, developed a blood clot that required amputating one of his legs. Then he suffered a series of heart attacks. Before the mail fraud case went to trial Brinkley, penniless, died of heart failure in San Antonio on May 26, 1942. Goat gland transplants! Autographed pictures of Jesus! What a hoot. Funny and sad how easily people are duped. Fascinating story. Do not recall Brinkley but remember hearing other Border Blasters while growing up on La Frontera. You were too young for Brinkley. My mother used to talk about him. She love characters. I was almost 10 when he died. Wow! That is fascinating. I wonder if people survived those prostate operations. Or any of his operations. I also remember Wolfman Jack coming from somewhere that sounded like– Sazud aconya, qwawila, Mexico. You have a great ear. The name was changed before Wolfman Jack’s time to Ciudad Acuna and you seem to have heard that very well. Enough patients survived to keep the law suits at bay for a while. He got great publicity when the editor of the LA Times had a goat gland procedure and then had a son. Once again i am informed and educated in the most interesting, entertaining way. Thank you, Myra, for another wonderful sharing. Thank you, John, for being such a faithful reader. Yes, Brinkley was the first Border Blaster. He proved so successful that others began to follow. I don’t remember him either, but my mother loved to talk about characters and made his name familiar long before I knew anything about him. Wonderful story, Myra. What a character! Was Brinkley’s station one of the first Border Blasters? While I’m not old enough to remember him, I do remember listening to Wolfman Jack on XERF. The station also had offers of autographed pictures of Jesus Christ and other dubious deals.